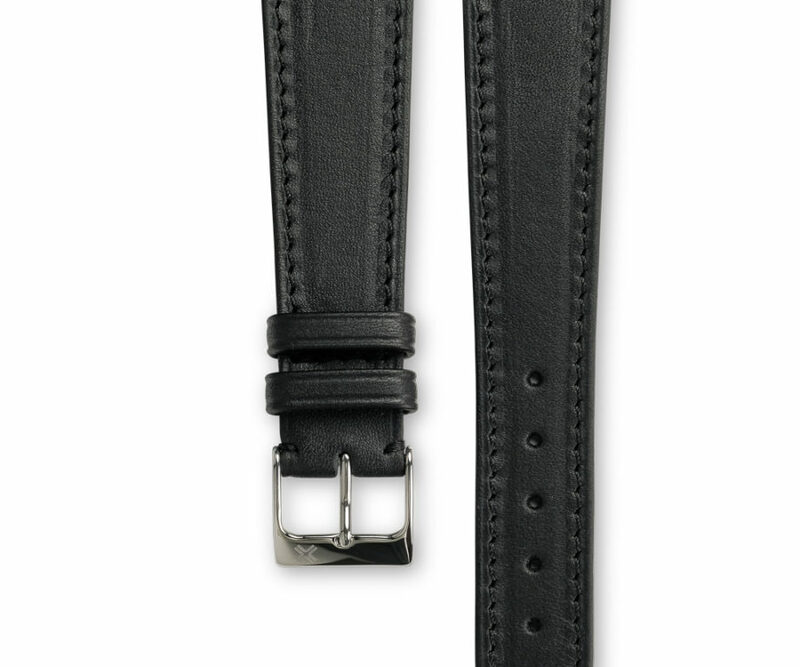 Intense deep black watch strap with tone-on-tone stitching. 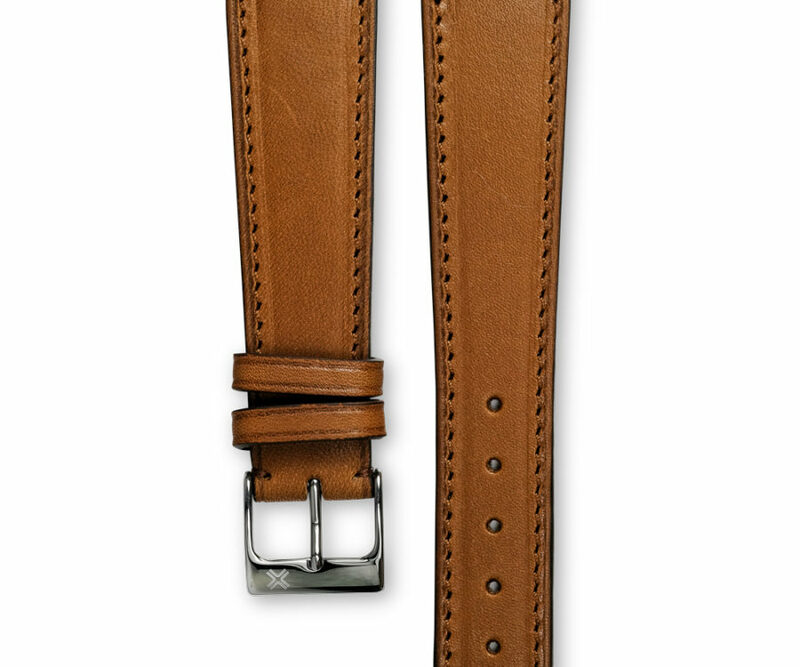 Also available in cream stitching to bring a touch of sportiness to your watch. 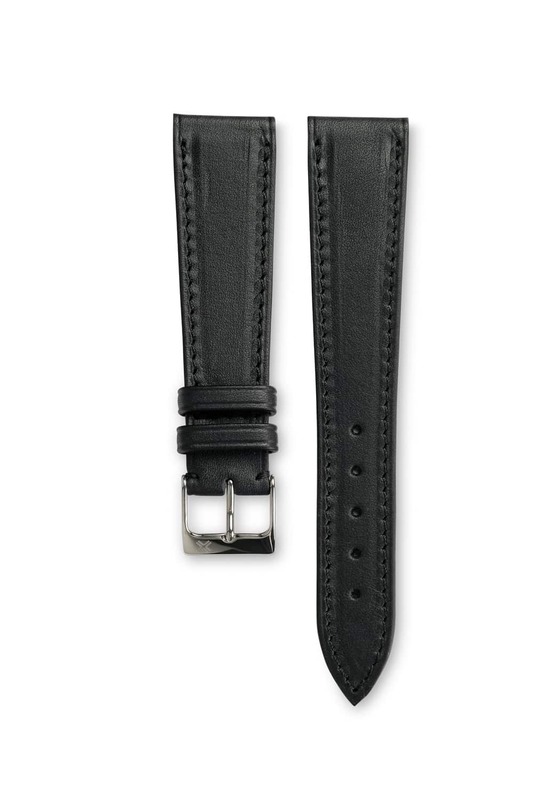 This deep black is THE classic color. What makes it unique is the incredible matte darkness of it that literally absorbs the light. 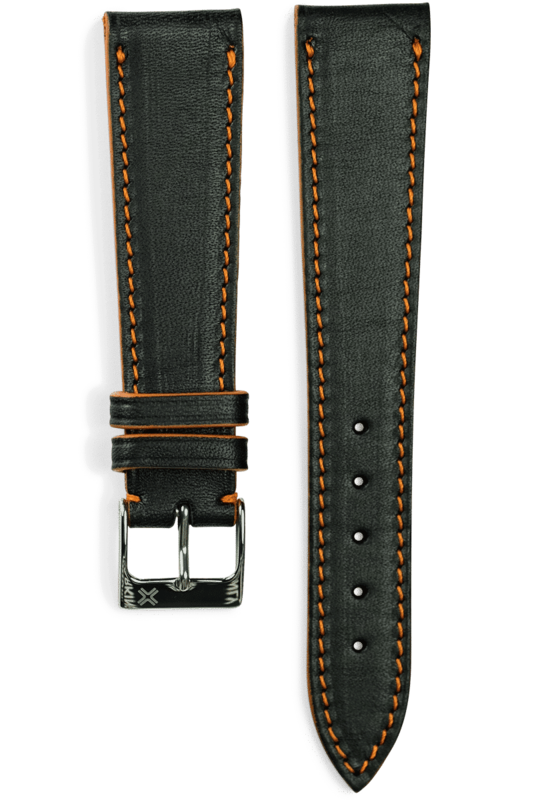 This gives to the strap and the watch a real discretely luxurious look compared to most of other black strap you can find on the market. 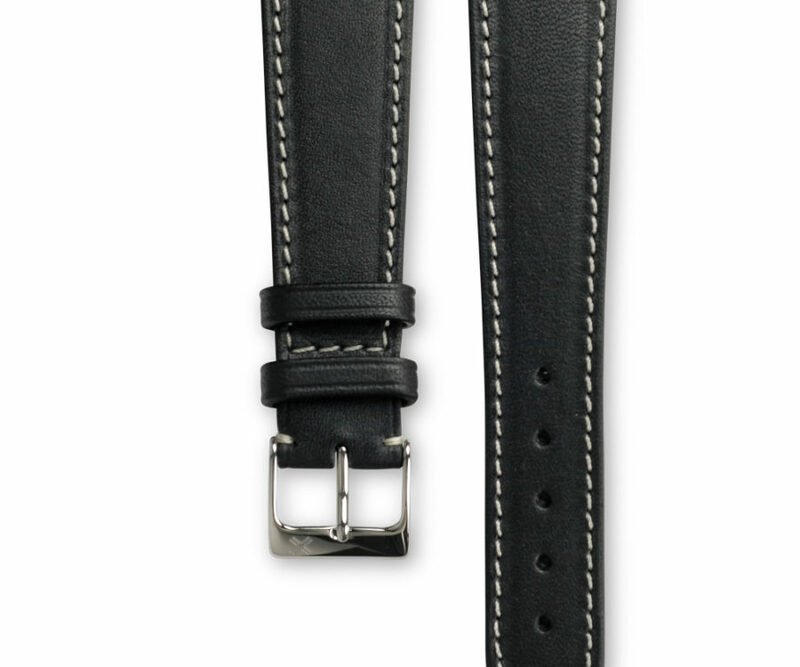 The contracting cream stitching will bring a bit more sporty and casual personality to your watch. This Classic smooth Deep Black version is giving your watch a very masculine and classy look and can suit to any type of watch from very dressy to more casual. It will develop a beautiful patina over time making it even more unique to you! 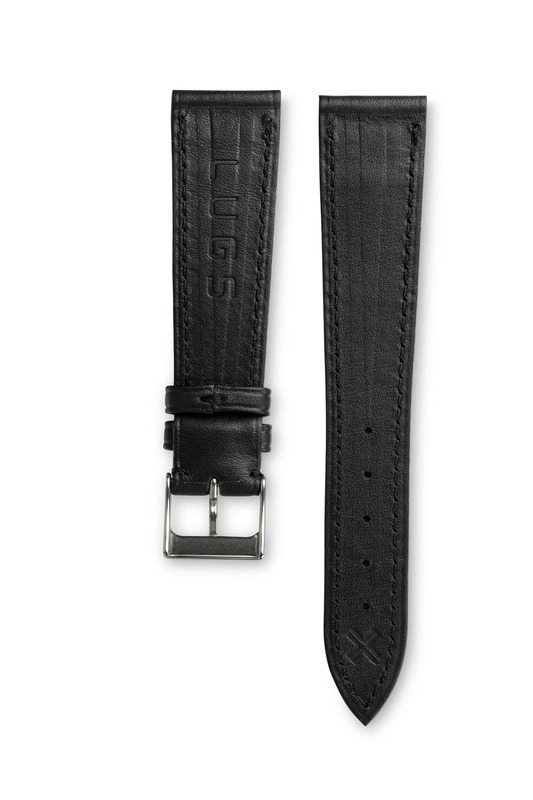 Discover the same model of watch strap with a contrasting cream stitching. 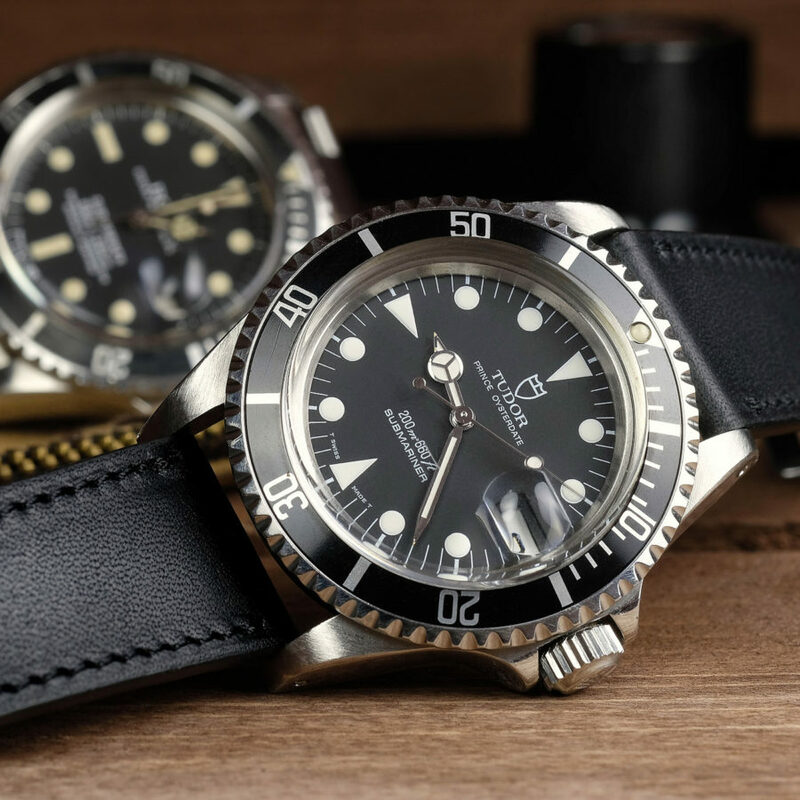 This will bring a touch of sportiness to your watch.